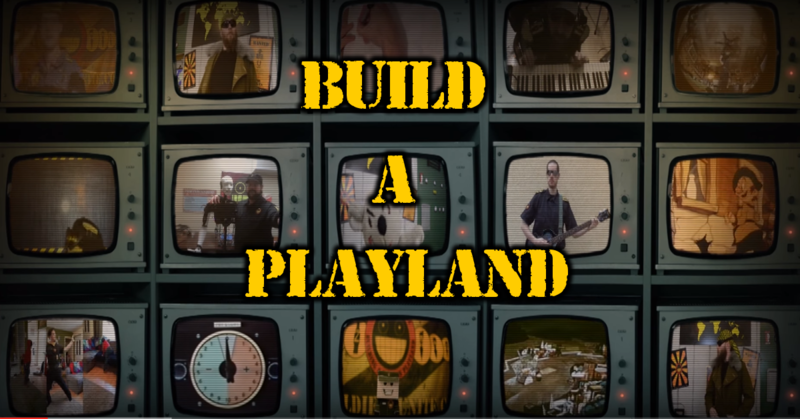 Revived from the depths of a bygone time, Build A Playland has been revitalized with the efforts of Dr. Malice & The Absinthetic Orchestra, and along with SilentAddle and various Toy Soldiers, given a whole music video to entertain your pineal gland with! Enjoy! Great job, guys! Everyone involved did excellent work and I think the end product turned out quite nicely! My boys and I are *such* good dancers…. I also love how all the vocals layered up in the end. This is just incredible. I really wanted to participate, but I just couldn’t find the time to properly execute it.